CHRIST THE CENTRE OF THE BIBLE. Acts. ACTS - LORD OF ALL. When the Lord ascended to the right hand of the Father He sent His Holy Spirit to give salvation to every race and bring together an entirely new group - the Body of Christ. Thus under the Lord`s sovereign administration in the power of the Spirit, each race receives salvation. The believers then came together from house to house, encouraging each other, sharing possessions and learning of the Lord. `And they continued steadfastly in the apostle`s doctrine and fellowship, in the breaking of bread, and in prayers..... Now all who believed were together, and had all things in common, and sold their possessions and goods, and divided them among all, as anyone had need. The Lord through the power of the Holy Spirit is shown to be the administrator of this new group - the Body of Christ. In the new group at Antioch we see how the Spirit directed them. 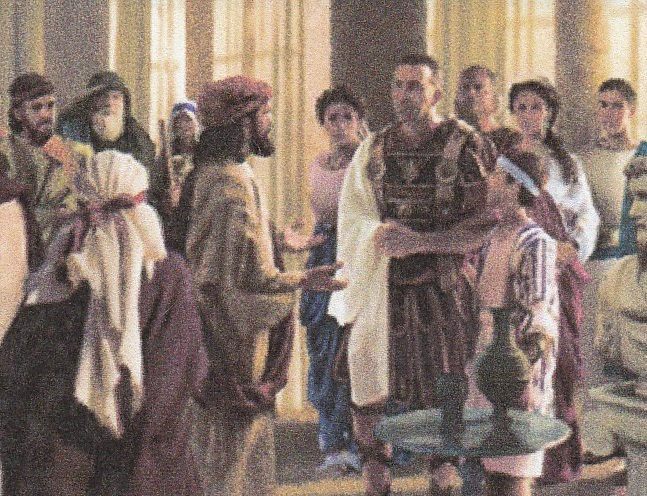 Later we are shown how the Apostle Paul and others with him, are directed of the Spirit to places and people throughout their missionary journeys. Then over many years we see that the Apostle Paul reveals God`s full purposes to the believers. Previous entry CHRIST THE CENTRE OF THE BIBLE. Christ in His Body. Next entry CHRIST THE CENTRE OF THE BIBLE. Romans. ARABIA: Shem`s sons settled in Arabia and to the east. AFRICA: Ham`s sons settled in Africa to the South. EUROPE: Japheth`s sons settled in Europe to the north. Nation – Gk. word `ethnos,` meaning a race of the same habit, a tribe of people. And the Ethiopian from Africa, (Ham). Good to look back and get what God`s word tells us. Interesting ay, that they/ we all come from them.